Update: LWF staff will be out of the office on Wednesday and Thursday, Dec. 19 and 20. This means your last chance to pick up purchased merchandise before Christmas will be on Friday, Dec. 21 until 4:40 p.m. or on Monday Dec. 24 until noon. Looking for a holiday gift that keeps on giving? Our fundraising efforts include product sales! 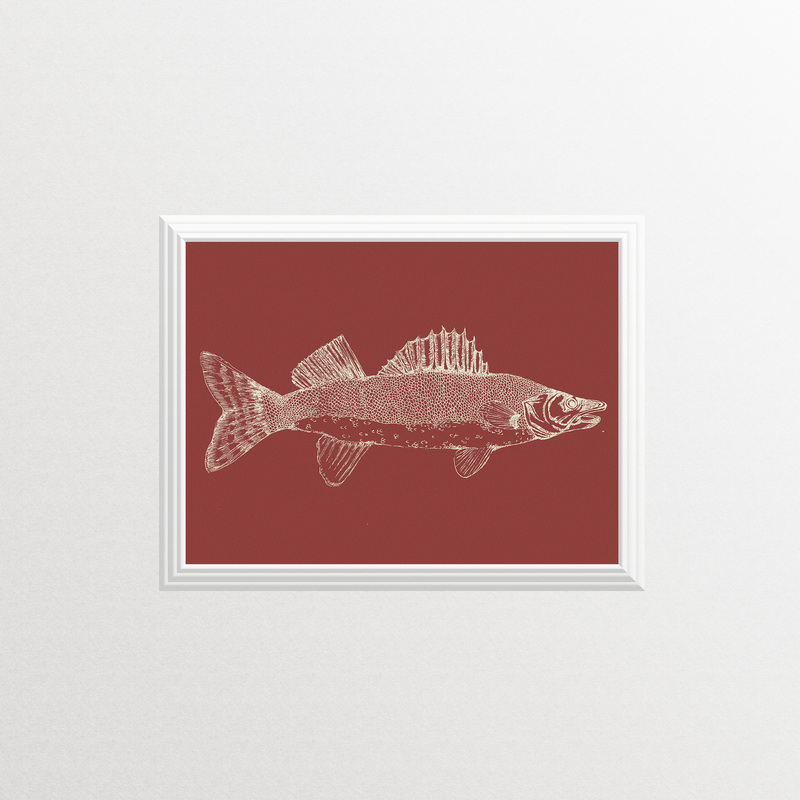 Proceeds from the sale of these unique items support our efforts to protect Lake Winnipeg. When you give them to your family members, friends, kids’ teachers or anyone else on your list, you’re also giving the gift of healthy water – it’s a win-win! Are you a full-time student looking for a winter co-op placement? We’re hiring for a Community-Based Monitoring Co-op Student! This full-time, term position will support the activities of the Lake Winnipeg Community-Based Monitoring Network, enabling the collection of robust and credible citizen-generated water data. If you’re passionate about the environment and love working with people, apply to join our team and help us restore and protect the health of our great lake! Update: Congratulations to the Cycling for Solutions 2018 riders for completing their journey - and a heartfelt thank you to the many supporters who donated to support citizen science! So far, the cyclists have raised over $13,600! If you'd like to add your support, the donation link will remain live until Monday, Sept. 17, 2018. A group of amateur cyclists is once again attempting an ambitious, three-day, 500 km self-supported road trip from Winnipeg, Man. to IISD Experimental Lakes Area (IISD-ELA) research facility in northwest Ontario. 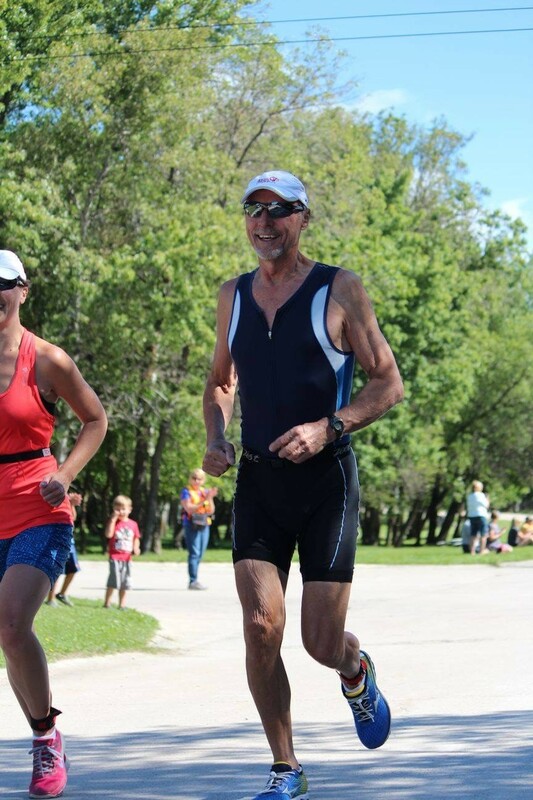 Winnipeg endurance athlete John Sawchuk is swimming, cycling and running his way to his 70th birthday – all while raising funds for LWF! John’s goal is to complete 777 kilometres of swimming, biking and running in 28 days, beginning on July 26 and ending on August 21, his birthday. He’s also using this challenge to support LWF and hopes to raise $7,777 in donations. A 2017 study commissioned by LWF confirms that Lake Winnipeg property values make significant contributions to Manitoba’s economy. LWF has awarded a total of $16,750 to five Manitoba-based projects dedicated to improving local water quality. Projects include two water-monitoring programs, educational signage for an innovative wetland project, consultations with local producers on water-storage initiatives and a new resource for wastewater treatment facility operators. LWF’s Community-Based Monitoring Coordinator Chelsea Lobson has received a national honour! On May 3, BioTalent Canada announced Chelsea as the winner of the 2018 MAGNUS Catalyst Award for Top New Hire! If you can bring a high-level background in financial and administrative management, and a demonstrated ability to provide outstanding organizational support, we want to learn all about you! Many people have devoted much of their personal and professional lives to improving the health of Lake Winnipeg. Since 2008, the Lake Winnipeg Foundation has been celebrating these passionate individuals with our Alexander Bajkov Award. Named in honour of the pioneering researcher (his last name is pronounced “bye-cough” and you can read his bio here), this annual award is presented to a person who exemplifies Dr. Bajkov’s dedication to the understanding of Lake Winnipeg, and who demonstrates outstanding efforts to protect and restore the lake and its watershed. We very much appreciate everyone who has liked and followed our Facebook page over the years. By doing so, you’ve given us the opportunity to share important information about freshwater stewardship, and update you on the various ways we are advocating for change and co-ordinating action to improve the health of Lake Winnipeg. As you may be aware, Facebook has just rolled out major changes to its newsfeed. Posts from friends and family will be prioritized in your feed; posts from brands – including organizations such as LWF – will largely be removed. LWF Communications Director Marlo in the recpetion area of our new office! We've got exciting news: LWF has moved! Our new, larger space is the perfect fit for our growing team. We are now located at 62 Hargrave St, just south of Broadway. Our office telephone number and all email addresses remain the same. We are settling in quickly and eager to get back to the work of freshwater protection. If you're in the area, drop by to say hello! The Manitoba government recently released its Made-in-Manitoba Climate and Green Plan, a proposed framework to support environmental protection, natural resource management and sustainable development. The plan’s actions are organized within four key pillars: climate, jobs, water and nature. Update: Our temporary situation has ended and LWF has now moved into a new office space. At the Lake Winnipeg Foundation, we understand the importance of water. Last week, we were reminded of its power. On Thursday morning, we learned that a pipe in the basement ceiling of the building in which LWF's office space is located had burst during the night. The result was a serious flood – and serious damage to various mechanical systems. The entire building is now shut down, and we have been told it will take up to eight weeks to complete all necessary repairs. LWF’s education program assists teachers to engage students on water stewardship issues and inspire youth action. We offer in-class presentations and funding for water-related learning, plus opportunities to collaborate with individual educators and/or schools on more customized partnerships and initiatives. We are excited to launch a new resource for music educators, in recognition that water can be explored beyond the science curriculum. As the 2017 open-water season draws to a close, participants and supporters of the Lake Winnipeg Community-Based Monitoring Network (LWCBMN) met in Winnipeg to discuss progress, share lessons learned and plan next steps. Co-ordinated by the Lake Winnipeg Foundation (LWF) and supported by LWF’s Science Advisory Council, the LWCBMN is engaging citizen volunteers in the collection of water samples. These samples are then analyzed in a lab to measure phosphorus concentration and calculate the amount of phosphorus being exported off our landscapes. Update 2: Presentations on Bill 24 have been rescheduled; the committee will now meet on Monday, Oct. 23, and Tuesday, Oct. 24. Update: The Standing Committee on Social and Economic Development is set to meet on Wednesday, Oct. 25, and Thursday, Oct. 26 to hear public presentations on Bill 24. LWF has registered to present. We urge all our supporters to contact their MLAs in advance of these meetings. It’s not every day you get to visit one of Canada’s primary sources of lake science. And it’s certainly not every day you get to stand on the shores of a humble little lake known simply as Lake 227 that has informed scientists’ understanding of eutrophication for almost half a century. All summer long we’ve been celebrating local beer and local lakes, partnering with local craft breweries to showcase limited-edition, lake-themed brews. This collaborative beer series continues with September’s Boardwalk Belgian Pale Ale, created by our friends at PEG Beer Co. Boardwalk Belgian Pale Ale is fruity with a slight pepper spice – a balanced beer that finishes dry and crisp. Try it while supplies last by visiting PEG Beer Co.’s brew pub, located at 125 Pacific Ave. in Winnipeg’s Exchange District. 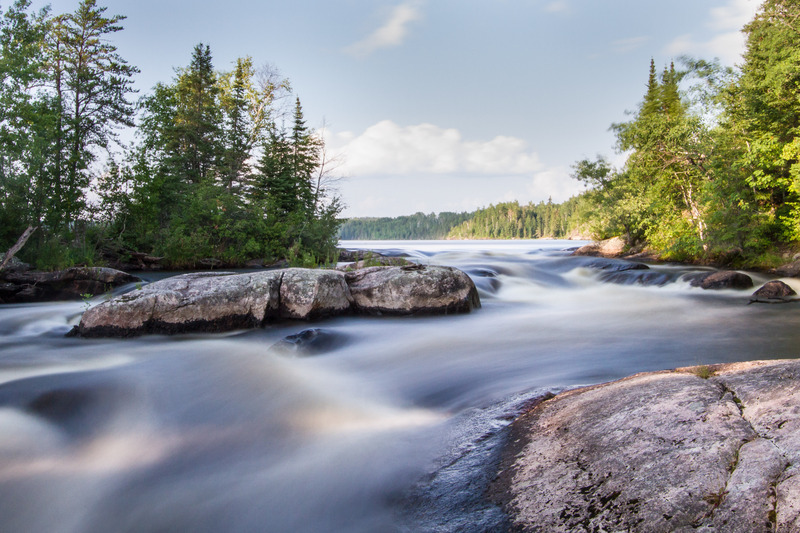 Manitoba’s government has launched public consultations on three new watershed planning initiatives. This is an opportunity for lake-lovers to speak up for our lakes and rivers and help shape provincial water policy. Support Cycling for Solutions 2017 and expand water monitoring across Manitoba! For the third year in a row, a group of amateur cyclists are challenging themselves to complete an ambitious, three-day, 500 km self-supported road trip from Winnipeg. Man. to the IISD-Experimental Lakes Area (IISD-ELA) research facility in northwest Ontario. Riders are paying their own expenses while accepting financial pledges for their efforts. All funds raised will be donated to the Lake Winnipeg Foundation (LWF) to support the expansion of the Lake Winnipeg Community-Based Monitoring (CBM) Network. Read more about Support Cycling for Solutions 2017 and expand water monitoring across Manitoba! On July 24, Canada’s Minister of Environment and Climate Change, Catherine McKenna, announced that the federal government will invest $25.7 million in the Lake Winnipeg Basin Program, which is part of the $70.5-million funding allocated for freshwater protection in Budget 2017. Cheers to the lake with our new glasses and coasters! We’re excited to launch our newest fundraising products: an exclusive line of lake-themed glasses and coasters! Choose between two distinct coaster sets – one featuring local wildlife and script art by K.BARTESKI; the other featuring a series of symbolic lake designs – or purchase any two sets and save $4 off your total! Read more about Cheers to the lake with our new glasses and coasters! We are thrilled to launch a new collaboration with Barn Hammer Brewing Company. Big Water, a limited-edition, lake-themed gose, will be available while supplies last for the month of July. Barn Hammer’s generous co-owners Sable and Tyler Birch will be donating $1 from the sale of each bottle to LWF. Giving has never been so refreshing! The Manitoba Excellence in Sustainability Awards recognize and honour people, projects and ideas that successfully turn the principles and guidelines of sustainable development into concrete, lasting achievements. There’s nothing like flipping through an old family photo album. From unforgettable sunsets to wish-we-could-forget fashions, these cherished pictures remind us of how special lake life really is. Lake Winnipeg Memories is a vintage photo exhibit curated by you! Launching on July 3, this is your chance to showcase your family’s unique relationship with Lake Winnipeg. We want to see your grandparent’s first trip to the beach, the legendary cottage reunion, or the time your great-uncle finally learned how to waterski! The government of Manitoba is proposing changes to the legislation and regulation that govern Manitoba’s hog industry, laying the groundwork for industry expansion. A public consultation process is currently underway with respect to proposed amendments to the Livestock Manure and Mortalities Management Regulation (LMMMR), which dictate where, when and how livestock manure can be used as an agricultural fertilizer. This is an opportunity for lake-lovers to speak up for the health of local water. On April 11, Manitoba’s government released the 2017 budget, its spending plan for the coming year. Lake Winnipeg was not specifically mentioned in either Finance Minister Cameron Friesen’s speech or the budget summary. Water-related spending appears on page 18 of the budget summary, nested under strategic infrastructure. This spending includes a $60 million investment in water-related infrastructure such as flood protection, drainage and other water-control initiatives, and represents a 33 per cent increase from the 2016/17 budget. We're hiring for summer 2017! Are you a full-time student looking for summer work before returning to school in the fall? We’re hiring a Summer Outreach Co-ordinator! This person will assist LWF staff and volunteers in the planning, promotion and delivery of a variety of outreach and fundraising events. If you love working with people, are passionate about the environment and have a talent for communicating science, apply to join our team and help us in our mission to restore and protect the health of our great lake! A full job description is below. Read more about We're hiring for summer 2017! On March 22, the government of Canada released its 2017 budget, outlining federal priorities for the coming year. We’ve reviewed the plan to figure out what it means for fresh water and for Lake Winnipeg. Crowdfund for local water projects - and double your impact! Our grants program funds projects that improve water quality in Lake Winnipeg and its watershed. Thanks to the ongoing generosity of LWF supporters over the years, we have been able to award more than $230,000 in financial assistance to a diverse range of vital initiatives: from cutting-edge research on the lake to accessible water education in schools to practical stewardship projects on the land. Now, we need your help to make this program bigger and better in 2017. Read more about Crowdfund for local water projects - and double your impact! The Manitoba government wants to hear from you! Update: The deadline to complete the survey has been extended to March 31, 2017. A new Climate and Green Plan is under development and the government is gathering public input through an online survey on energy, land use and conservation measures. Completing this survey takes just a few minutes and is an easy way to impact policy development for Manitoba’s lakes. Read more about The Manitoba government wants to hear from you! The real-life politics of freshwater protection hit the stage this month with the Winnipeg premiere of The Watershed! Presented by the Royal Manitoba Theatre Centre at Tom Hendry Warehouse, the latest documentary play from Montreal playwright Annabel Soutar investigates the complexity of freshwater stewardship in Canada through the story of IISD Experimental Lakes Area (IISD-ELA) – a research facility located near Kenora, Ont. that’s one of Canada’s primary sources of lake science. Feb. 2 is World Wetlands Day, celebrated in honour of the United Nations’ 1971 adoption of the Ramsar Convention on Wetlands, which provides an international framework for wetland conservation and use. It’s a day to raise awareness about the importance of wetlands and take action to protect these special areas. This year’s theme is “Wetlands for Disaster Risk Reduction,” selected to highlight the vital role healthy wetlands play in reducing the impacts of extreme weather events such as floods and droughts. We're hiring a CBM co-ordinator! We’re seeking an enthusiastic, detail-oriented individual to join our team in the position of community-based monitoring co-ordinator. This one-year, full-time term position (with the possibility of extension) is based out of Winnipeg and includes travel throughout southern Manitoba. Read more about We're hiring a CBM co-ordinator! We've got lake-friendly holiday gifts! New for 2016 is an exclusive line of ornaments, art pieces and tote bags featuring local artist Kal Barteski’s signature brush script! Perfect for hanging on the tree, displaying on the mantle – or taking to the beach next summer! Read more about We've got lake-friendly holiday gifts! LWF is building CBM bridges! Read more about LWF is building CBM bridges! Donate at the link below to send Manitoba students on their next water adventure. The wonder of new discovery is a special thing. We all remember the first time we had the chance to experience our natural ecosystems: The first time we went out in a boat on open water. The first time we saw a dragonfly up close. The first time we caught tadpoles in a bucket. Watch highlights from our Water Wednesdays series! Our three-part Water Wednesdays series took place in October and featured local experts talking local water: from algae blooms to zebra mussels and everything in between. We recorded each event and are excited to now present three highlight videos! Special thanks to our Water Wednesdays sponsor, Desjardins Financial Security Investments Inc., to our special guests – and of course, to everyone who joined us in Assiniboine Park for these lively conversations. Read more about Watch highlights from our Water Wednesdays series! Gathering on the banks of the Assiniboine River with Lake Winnipeg Foundation (LWF) staff, science advisors and partners on a sunny morning in September, Sustainable Development Minister Cathy Cox participated in a new citizen science project supported by Manitoba’s government. LWF’s community-based monitoring (CBM) network is currently focused on monitoring phosphorus levels in water samples. Excess phosphorus is a primary cause of harmful algae blooms which have been increasing in size and frequency on Lake Winnipeg’s waters. A group of amateur cyclists will once again challenge themselves to complete an ambitious, three-day, 500 km self-supported road trip from Winnipeg. Man. to the IISD Experimental Lakes Area (IISD-ELA) research facility in northwest Ontario. Cycling for Solutions 2016 builds on the success of last year’s inaugural ride, in which three participants raised almost $4,000 for LWF and our ongoing work to restore and protect the health of Lake Winnipeg – the 10th largest freshwater lake in the world. The Lake Winnipeg Indigenous Collective is hiring! Apply to become the Lake Winnipeg Indigenous Collective Coordinator! In partnership with the Lake Winnipeg Indigenous Collective (LWIC), the Lake Winnipeg Foundation is seeking a relationship-driven project manager to support the dynamic growth of a First Nations collective dedicated to protecting the health of our sacred waters and restoring traditional livelihoods. Based out of Winnipeg, this position includes travel to various Lake Winnipeg Indigenous communities. Read more about The Lake Winnipeg Indigenous Collective is hiring! Walk for Water is the largest grassroots fundraising event in support of a healthy Lake Winnipeg. For many lake-lovers, participating has become an annual family tradition. Embrace the #LakeLifeGoodLife and win prizes! Share your #LakeLifeGoodLife photos for the chance to win amazing prizes! What do you do at the lake when you’re feeling adventurous? How do you kick back and relax? Who do you ask when you need a companion? We want to see those gorgeous hikes and peaceful canoe rides; those tubing wipeouts and wild wakeboard skills. We want to know what lake life means to you! We’re looking for photos ­– plain and simple. Show us your own creative style. Show where you go when you feel like exploring. Show us your favourite memories. Show us what lake-lovers know: that the lake life is the good life! Read more about Embrace the #LakeLifeGoodLife and win prizes! Congratulations to Alex Salki and Mike Stainton! On June 23 in Ottawa, Alex and Mike, along with Al Kristofferson, were presented with Meritorious Service Decorations (Civil Division) by His Excellency the Right Honourable David Johnston, Governor General of Canada. We’re seeking an enthusiastic, detail-oriented individual to join our team in the position of Finance & Administration Manager! This one-year, full-time term position (with the possibility of extension) is based out of Winnipeg and includes travel to various Lake Winnipeg communities. Gritzner’s definition – which speaks to location, ecological features and socio-cultural contexts – underlies OPEN Water, a collaborative initiative led by Canadian Geographic Education, a program of the Royal Canadian Geographic Society. K.Barteski x LWF: Exclusive art pieces now on sale! We’re thrilled to debut our latest fundraising initiative – a collaboration with local artist Kal Barteski! Update: Our collection has expanded to include tote bags! Made from heavy canvas with velcro enclosure, these totes come in two colours and are big enough to fit all your beach essentials. Read more about K.Barteski x LWF: Exclusive art pieces now on sale! With the provincial election just one week away, a new poll reinforces the importance of Lake Winnipeg to all Manitobans. Fresh water matters to us, and we know it matters to our members and supporters. In the lead-up to Manitoba’s election, we wanted to learn more about how parties and candidates plan to address the challenges facing Lake Winnipeg. We sent the following five questions to each party’s headquarters. We also reached out to all Manitoba candidates with an accessible email address. Support LWF through Strathmillan Elementary School’s rain barrel sale! We first met some of the young water champions from Strathmillan Elementary School when we presented last year to a particularly enthusiastic Grade 4 class. 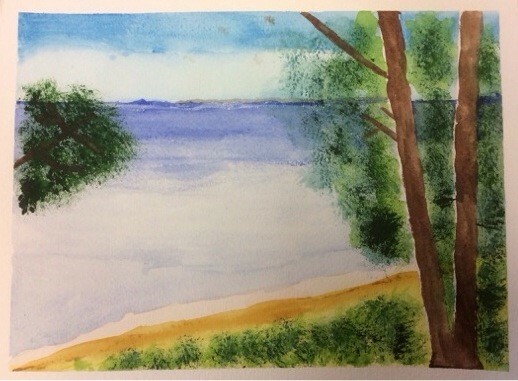 Inspired by what they learned about Lake Winnipeg, these students went on to collaborate on a series of watercolour paintings, write letters to local politicians and organize a successful fundraiser for LWF. One of the beautiful paintings created by Strathmillan students last year. Fast forward to this year, and the entire K to 5 school has rallied into action! Read more about Support LWF through Strathmillan Elementary School’s rain barrel sale! Manitoba’s election campaign has officially begun – and Lake Winnipeg needs to be on the agenda. Over the past three decades, excess phosphorus has increased the growth of harmful algae blooms which are contaminating beaches, reducing water quality, and threatening local industries and communities. It’s time for all of us to get involved as citizens living in a democracy in which the collective voice of the people influences the laws of the land. It’s time to speak out for Lake Winnipeg. We’re hiring for summer 2016! Are you a full-time student looking for summer work before returning to school in the fall? We’re on the hunt for extraordinary event planners, social media superstars and marketing geniuses with a passion for the environment. Summer Outreach Coordinator: This person will assist LWF staff and volunteers in the planning, promotion and delivery of outreach and fundraising events. Read more about We’re hiring for summer 2016! Tuesday, Feb. 2 is World Wetlands Day. It marks the date of the 1971 adoption of the United Nations’ intergovernmental Convention on Wetlands in the Iranian city of Ramsar. Every year on Feb. 2, people around the world raise awareness about the importance of wetlands and take action in their own communities to protect these special areas. A wetland is any area that holds water – either temporarily or permanently. They may more commonly be known as sloughs, swamps, ponds or marshes. Nominate a lake champion for the Alexander Bajkov Award! So many people have devoted much of their personal and professional lives to improving the health of Lake Winnipeg – and, since 2008, the Lake Winnipeg Foundation has been celebrating these passionate individuals with our Alexander Bajkov Award. Named in honour of the pioneering researcher of Lake Winnipeg (you can read his bio here), this annual award is presented to a person who exemplifies Dr. Bajkov’s dedication to the understanding of Lake Winnipeg and who demonstrates outstanding efforts to protect and restore the lake and its watershed. 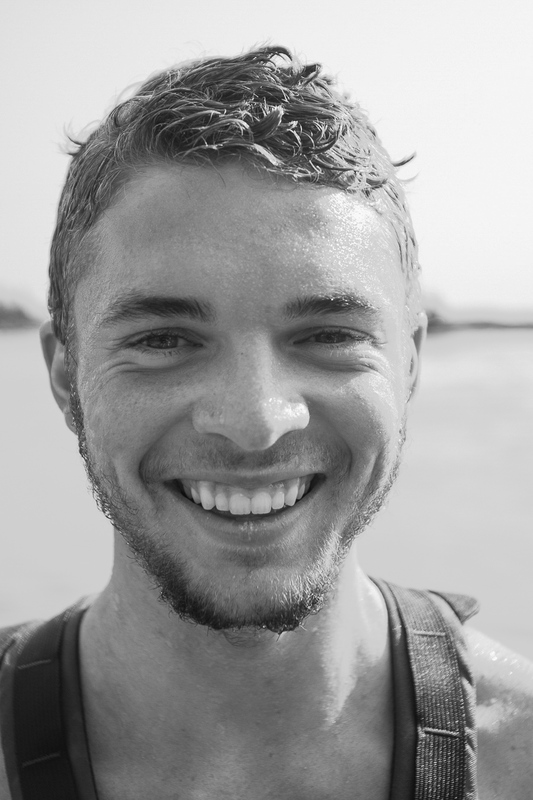 Read more about Nominate a lake champion for the Alexander Bajkov Award! 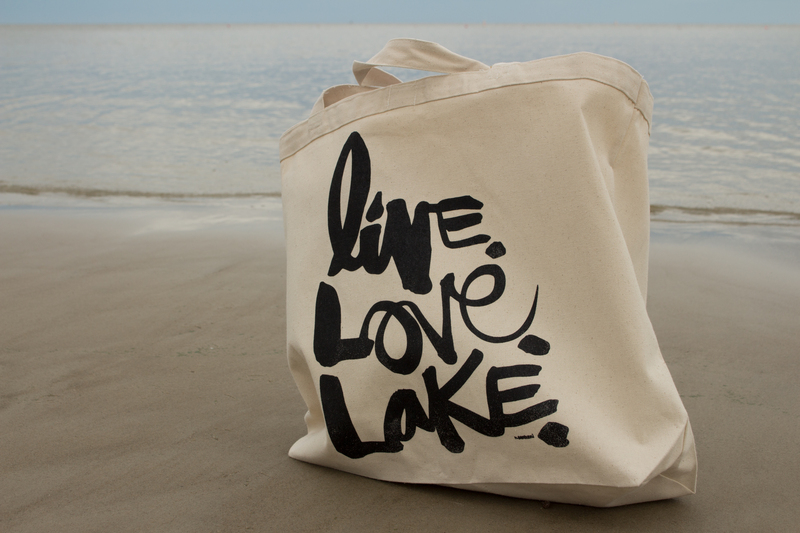 Love, Lake Winnipeg merchandise now on sale! Update: We have now sold out of Love, Lake Winnipeg T-shirts and the CD re-issue of The Lake Winnipeg Fisherman. Thanks to everyone who supported this project with their purchases! 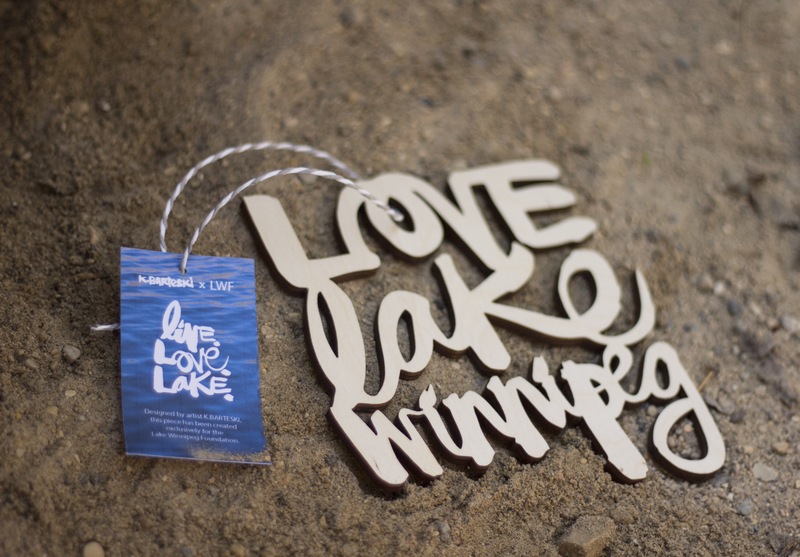 Love, Lake Winnipeg merchandise is now available for purchase! Read more about Love, Lake Winnipeg merchandise now on sale! Update: Love, Lake Winnipeg raffle winners! Thank you for supporting the Lake Winnipeg Foundation. Tickets are now on sale for our Love, Lake Winnipeg raffle! 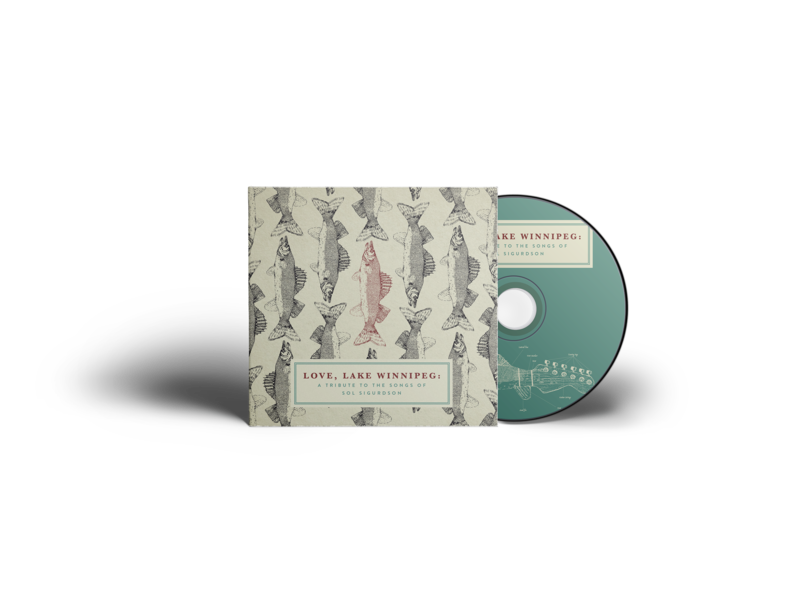 Created as part of our collaborative fundraising project, Love, Lake Winnipeg: A tribute to the songs of Sol Sigurdson, this is your chance to win amazing prizes and support LWF! Update: Tickets for our Love, Lake Winnipeg raffle are on sale now! Only $5 each (or three for $10), they offer another way to support LWF - and a chance to win amazing prizes. We'll also be selling tickets at our Jan. 14 benefit show. The draw will be that night but you don't have to be at the concert to win. Good luck! Almost 50 years after they were first recorded to vinyl, folk songs documenting life on Lake Winnipeg are being given new life – and new purpose. 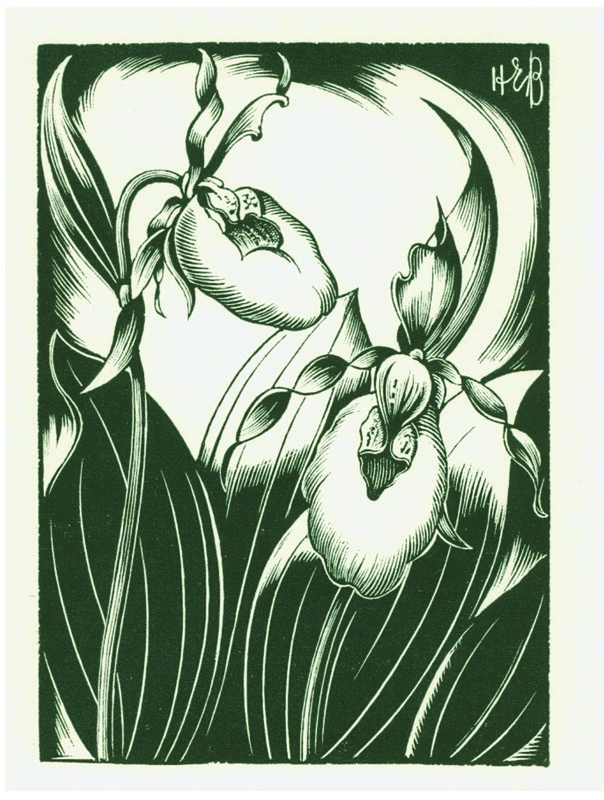 For nature-lovers, gardeners or local art history buffs, we’ve got vintage limited-edition wood engraving prints, created by Henry Eric Bergman (1893-1958) and generously donated to us by this accomplished artist’s descendants. Giving Tuesday 2015: What’s your reason to give? Update: Thank you so much to everyone who took part in Giving Tuesday 2015 and helped raised $1,583! We are humbled and inspired by your generosity. Together, we will continue speaking out for the health of our lake! Dec. 1 is Giving Tuesday – a global day to give back – and this year, we’ve set ourselves an ambitious goal: raise $2,000 in 24 hours. We’re spending this week celebrating people who are helping make a healthy Lake Winnipeg possible by giving to LWF, adding a new story each day. We hope their passion for our great lake will inspire you to get involved, too. Read more about Giving Tuesday 2015: What’s your reason to give? On Oct. 19, the Manitoba government released the Clean Environment Commission’s report on Lake Winnipeg regulation. The Manitoba Clean Environment Commission (CEC) is an arms-length provincial agency established to provide advice and recommendations to the minister of conservation and water stewardship, and to develop and maintain public participation in environmental matters. Its recommendations are not binding; the minister reviews them and chooses whether to adopt them. This zebra-mussel-encrusted rock was found on Sept. 26, 2015 near Balsam Harbour (Photo: Greg Armstrong). Oct. 26, 2015, Winnipeg – Zebra mussels continue to spread in Lake Winnipeg. Adult mussels and their microscopic larvae (known as veligers) have been detected throughout the south basin of the lake and in the Red River. More recently, the invasive species has also been discovered in the north basin of Lake Winnipeg and in Cedar Lake, just west of Lake Winnipeg. In the lead-up to Canada’s election, we wanted to learn more about how federal parties and candidates plan to address the challenges facing Lake Winnipeg. We sent four questions – focused on solutions for Lake Winnipeg – to all Manitoba candidates representing the four federal parties running a full slate. We also contacted each party’s national headquarters. This August, Manitobans were confronted with a graphic reminder of the challenges facing Lake Winnipeg when algae washed up on Hillside Beach. Excessive phosphorus flowing into the lake from many different sources throughout its vast watershed is contributing to the increasing size and frequency of harmful algae blooms such as this one – but Lake Winnipeg is not the only water body in need of help. Join us on Wednesday, Aug. 19, for a unique event! Surrounded by amazing photographic art, Lake Winnipeg: Framing the Issue will showcase a range of perspectives about our great lake. Lake Winnipeg is the 10th largest freshwater lake in the world; an iconic body of water that has shaped both the physical geography of Manitoba and the shared cultural experiences of its citizens. Humans have interacted with this ‘inland sea’ for centuries – and our actions have left a mark. Update: Sadly, the foursome is now a trio, as Bruce unfortunately had to drop out of the trip. Good luck to the three remaining cyclists, Roger, Brad and Pete!. Heads up to any lake-lovers looking to support us with an online donation this weekend: On Saturday, July 25th, the CanadaHelps platform will undergo scheduled maintenance from 6:00 am - 8:00 am (CT). Canadian water advocate Maude Barlow joins Walk for Water 2015! We’re pleased to welcome Maude Barlow to our 2015 Dunnottar Walk for Water event, taking place this coming Sunday, July 26. Read more about Canadian water advocate Maude Barlow joins Walk for Water 2015! Country music artist Leanne Pearson joins Walk for Water 2015! We’re thrilled to welcome local country rocker Leanne Pearson to our 2015 Dunnottar Walk for Water event, taking place on Sunday, July 26. Read more about Country music artist Leanne Pearson joins Walk for Water 2015! The Lake Winnipeg Foundation is proud to once again offer its support to the Gimli Film Festival by sponsoring the 2015 screenings of Monsoon, a feature documentary from multiple award-winning Canadian filmmaker Sturla Gunnarsson. We’re thrilled to announce our latest fundraiser: a gorgeous new necklace, courtesy of local jeweller Hilary Druxman! A picture is worth a thousand words - and we want to share them all with you on Instagram! If you're active on this popular social network, follow us @SaveLakeWpg for photos, graphics and interesting information about our great lake - and our efforts to protect it. This summer, be sure to check out #LoveLakeWpg; we'll be using this hashtag on all our networks (including our Facebook and Twitter accounts) to keep you updated on our events and activities. Read more about We're on Instagram! Help LWF win $10,000 and you could win Gimli Film Fest passes! This June, your online support could turn into a $10,000 donation to LWF! The Great Canadian Giving Challenge is a new initiative from CanadaHelps and GIV3, the co-founders of GivingTuesday Canada. The goal is to give Canadians the chance to help their favourite charities and demonstrate the power of giving through social networks. How it works: Starting June 1, 2015, every dollar donated to LWF in the month of June through Canada Helps (minimum $3 donation required) will automatically earn us the chance to win a $10,000 donation! Read more about Help LWF win $10,000 and you could win Gimli Film Fest passes! LWF has awarded a total of $39,000 to seven projects as part of its ongoing Stewardship, Research and Education Grants Program. Brokenhead Wetland Monitoring and Restoration Planning: a project facilitated by the Centre for Indigenous Environmental Resources (CIER) that will enhance and restore the Brokenhead Wetland in Manitoba on Lake Winnipeg, and build the capacity of the local community to conduct wetland monitoring. Congratulations to Dr. Pascal Badiou, 2014 Alexander Bajkov Award winner! The Lake Winnipeg Foundation is thrilled to announce that Dr. Pascal Badiou has been chosen to receive the 2014 Alexander Bajkov Award. Named in memory of pioneering fisheries biologist Alexander Bajkov (1894 – 1955), this award was created by LWF in 2008. It is presented annually to an individual who exemplifies Dr. Bajkov’s dedication to the understanding of Lake Winnipeg, and who demonstrates outstanding efforts to protect and restore the health of the lake and its watershed. Past recipients have included scientists, politicians, educators and journalists. Read more about Congratulations to Dr. Pascal Badiou, 2014 Alexander Bajkov Award winner! Are you a full-time student looking for summer work before returning to school in the fall? We’re on the hunt for extraordinary event planners, social media gurus and marketing geniuses with a passion for the environment. Summer Outreach Coordinator: This person will assist LWF staff and volunteers in the planning, promotion and delivery of LWF’s Lake-a-thon fundraising events. Read more about LWF is hiring! March 16 to 20 was Canada Water Week, an annual celebration of water from coast to coast to coast, held in advance of World Water Day on March 22. Inspired by this year’s national theme, Know Your H20, LWF created an interactive, week-long challenge to highlight the connection between urban water and the health of Lake Winnipeg. Follow Your Water, Winnipeg, kicked off last Monday morning where Winnipeg’s Red and Assiniboine Rivers meet. 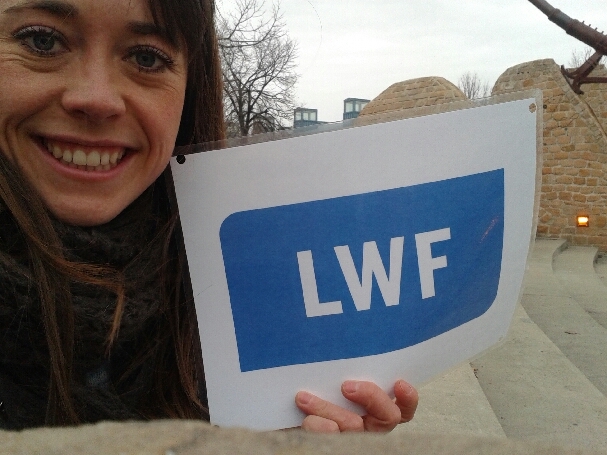 We placed a sign with our distinctive LWF logo at Oodena Celebration Circle, then asked participants to find it and take an “LWFelfie” with it. Planning now for the long-term health and sustainability of Manitoba's boreal forest ecosystem is one of the best ways to restore and protect the health of Lake Winnipeg, which is why Conserving the Boreal Forest is Action 2 of our Lake Winnipeg Health Plan. Nominate someone you know for the Alexander Bajkov Award! We know so many people who have devoted much of their personal and professional lives to help improve the health of Lake Winnipeg. That’s why, since 2008, the Lake Winnipeg Foundation has been publicly recognizing these passionate individuals with our Alexander Bajkov Award. Read more about Nominate someone you know for the Alexander Bajkov Award! LWF was founded in 2005, making this year our 10th anniversary! We’re proud of our grassroots beginnings and the many passionate supporters whose dedication to our collective vision of a clean, healthy Lake Winnipeg and watershed, now and for future generations, has shaped LWF into what we are today. We’re also proud of what we’ve been able to accomplish over the past decade: educating citizens, funding projects, and collaborating with governments, researchers and other stakeholders. Read more about Happy World Wetlands Day! Have a great idea for a project that can help save our lake? We can help make it happen! LWF’s Stewardship, Research and Education Grants Program supports projects working to improve water quality in Lake Winnipeg and its watershed – particularly those which address one or more of the eight key actions to reduce nutrient loading identified in our Lake Winnipeg Health Plan. Past projects have included educational resources, water-quality sampling and monitoring programs, video projects and various research projects. Caring for our Watersheds: a contest run by Oak Hammock Marsh Interpretive Centre in which high-school students will submit proposals on how they can help their watershed, with a goal of implementing as many projects as possible. Winnipeg – Members of Living Lakes Canada from Wildsight and the Lake Winnipeg Foundation (LWF) represented Canada at the 14th Living Lakes Conference in Nanchang, China last week. Kat Hartwig of Invermere, B.C. and Alex Salki of Winnipeg, Manitoba, were invited to present their work on sustainable management of lake communities, with a special focus on lake protection. The Canadian presentation focused on the significant water stewardship work being done by NGOs and water stewardship groups in the Columbia Basin and around Lake Winnipeg. A new publication is celebrating the multitude of benefits offered by Manitoba’s wetlands! Nature’s Wealth is a joint release from LWF, Ducks Unlimited Canada (DUC) and the International Institute for Sustainable Development (IISD). The four-page feature delves into the ecological and economic value of wetland areas – everything from water purification, flood protection, wildlife habitat, biofuels, recreational opportunities and even food! The Lake Winnipeg Foundation will bring local, science-based solutions to the 14th Living Lakes Conference in Nanchang, China, an event hosted by Global Nature Fund (GNF), a non-profit environmental foundation with headquarters in Germany. From Nov. 18 to 24, representatives from some of the 104 members of GNF’s international network will be discussing lakes in densely populated areas and how best to balance people and nature. LWF is a founding member of Living Lakes Canada, one of six national Living Lakes networks working throughout the world to protect freshwater resources. Oct. 17, 2014 – The Lake Winnipeg Foundation was pleased to be one of the 110 freshwater organizations and groups in attendance at Living Waters Rally 2014. This biennial gathering took place Oct. 3 - 6 in Ottawa/Gatineau and was organized by the Canadian Freshwater Alliance, of which LWF is a member. At LWF, the success of our work is dependent on the support of lake-lovers who share our vision of a clean, healthy Lake Winnipeg now and for future generations. We are committed to improving our communication with current members and growing our capacity as an organization. To get to know you better, we have created a short online survey for our members, and for those who support us in other ways. By filling it in, you will be helping us shape our future efforts. Please note all information is kept confidential and will not be shared outside of LWF. The late-June sun was setting as we pushed away from the culverts off Highway 314 just northeast of Lac du Bonnet, the starting point of the Manigotagan Canoe Route. Three friends and I were about to begin a white-water adventure through the Manitoba wilderness, navigating rapids as we paddled our way towards Lake Winnipeg. We had five days to complete over 100 km. Help us educate and inspire others! A few seconds and a few mouse clicks, and a good idea could become a reality! We’ve entered the Aviva Community Fund, a three-month competition in which community groups and organizations across the country vie for a share of $1 million in project funding from insurance provider Aviva Canada. Now, we need your help! Read more about Help us educate and inspire others! After a summer filled with great submissions and some very difficult deliberations by our judges at Photo Central, we’re proud to announce the 12 winners of our #lovetheboreal photo contest! Thanks again to everyone who entered and shared the beauty of Manitoba’s boreal forest – and a big congratulations to the winners! 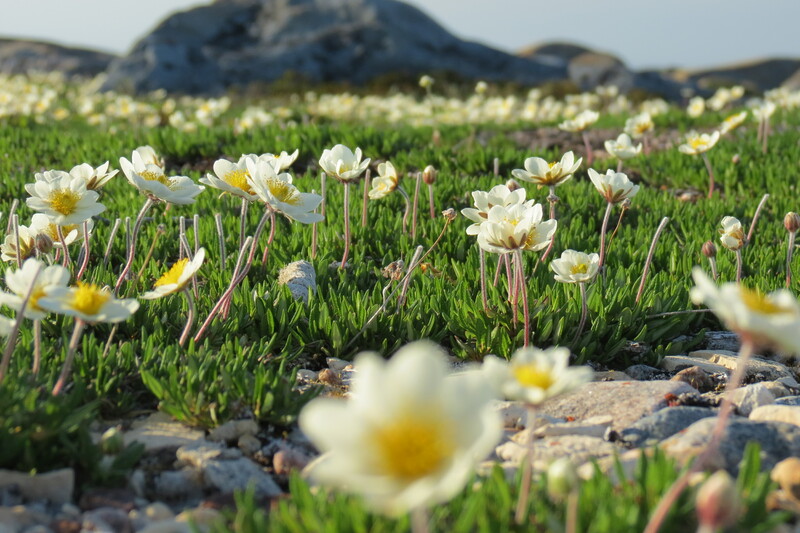 Read more about #Lovetheboreal photo contest winners! LWF’s work was recently featured in an article by DeSmog Canada as part of its “Ripple Effect” series, a collection of stories about efforts to protect Canada’s fresh water. Along with Brokenhead Ojibway Nation and the Centre for Indigenous Environmental Resources, LWF helped organize the gathering of First Nations mentioned in the article. We recognize that the unique and too often marginalized voices of Indigenous peoples are a vital part of any sustainable solutions for Lake Winnipeg, and we feel privileged to be able to help facilitate this process. If you have a great idea for a project, we can help make it happen! Turn $10 into $30 with a new crowdfunding campaign! The Lake Winnipeg Foundation is excited to announce our participation in Small Change Fund’s National Freshwater Fund campaign! Small Change Fund is a Canadian organization that connects small grants to big change. Since December 2009, it has harnessed the collective power of small gifts from individual donors to raise over half a million dollars for grassroots initiatives and provide over 167 micro-grants from coast to coast to coast. Read more about Turn $10 into $30 with a new crowdfunding campaign! Update: We are now sold out of the Fiddlehead Fern prints. Update: LWF has a small number of matted prints in our office, ready for purchase. We’ve also been told that we can likely get orders matted in less than six weeks. Call or email us (or just drop in) to buy yours today! LWF is thrilled to announce our newest fundraising endeavor, a limited-edition Lake Winnipeg watershed plant print sale! 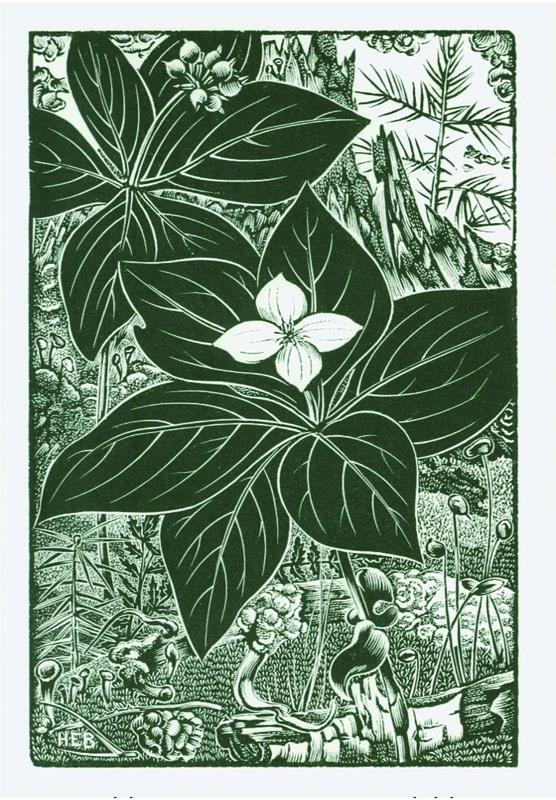 These wood engraving prints are a piece of local art history that depict the unique ecological beauty in Manitoba’s backyard. Attention all LWF members: You’re invited to a special Lake Winnipeg Foundation members’ meeting. Thursday, Oct. 2nd, 2014, 7 p.m. The purpose of this special meeting is to ratify approval of motions made by the Board of Directors, in compliance with the Canada Not-for-profit Corporations Act, as required by Corporations Canada. If you love Manitoba’s boreal forest, too, we’ve got some exciting news for you: LWF has partnered with six other organizations to bring you a fun photo contest with some amazing prizes! June 24, 2014 – This summer, Anishinabe woman Katherine Morrisseau-Sinclair – accompanied by family, friends, and community members – is taking steps to heal Lake Winnipeg. Footsteps, water ceremonies, prayer, and song will accompany women and men on the three-week walk. Starting July 12, they will walk 1,032 km around the perimeter of the lake to raise awareness about its declining health and offer hope for its revival. The traditional water walk starts in Norway House and ends in Manigotogan. The Lake Winnipeg Foundation is excited to announce our sponsorship of the award-winning documentary film Watermark at this summer’s Gimli Film Festival. The film is a diverse collection of images and stories from around the world that examine the deep relationships that humans have with water. The stories span from floating farms off China’s Fujian coast to the Colorado River’s desert delta to the Stikine River watershed in northern British Columbia. 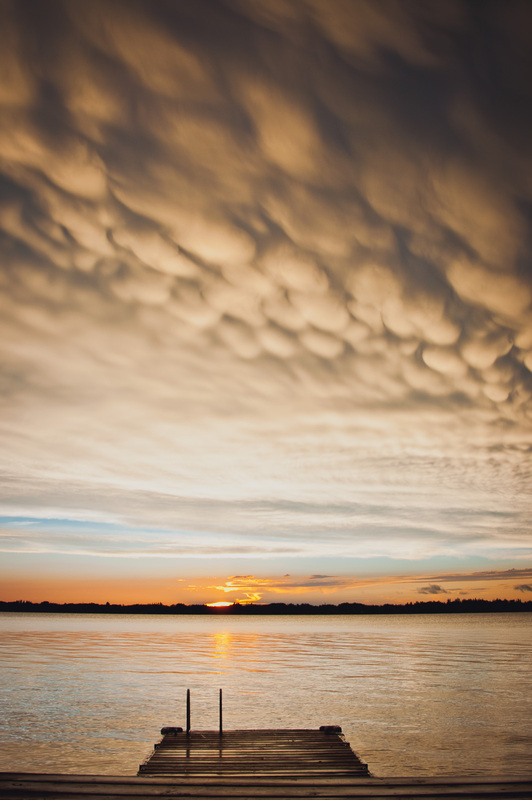 June 11, 2014 – The Lake Winnipeg Foundation is encouraged by today’s provincial announcement of a new surface water management strategy for Manitoba and proposed changes to drainage regulations to protect threatened seasonal wetlands. Pelly's Lake Project breaks ground! Nestled in the rolling hills about four km east of Holland, Man., is the site for Pelly’s Lake Watershed Management Project. “Not every project comes with a view like this,” said Justin Reid, Manager of the La Salle Redboine Conservation District (LSRBCD), at the site of the soon-to-be-built interpretive park. The park overlooks 630 acres (about half the size of Assiniboine Park) of hay and pasture land that will be covered in water next spring. Pelly’s Lake will be approximately two metres deep in the middle and just over one meter deep around the marshy edges. Read more about Pelly's Lake Project breaks ground!